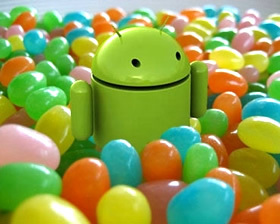 According to a third quarter analysis performed by Gartner, Google's Android continues to pick up steam. Out of 115 million smartphones shipped worldwide, Android was stamped on about 60 million of them, accounting for 52.2 percent of all smartphones everywhere. The report highlights a continued desire to buy Android handsets, showing that Android now outnumbers iPhone OS on devices sold by a whopping three to one ratio. The increase also came despite the growing anticipation for an "iPhone 5" throughout Q3, deyfing some analysts' expectations. With 440.5 million mobile devices sold globally in Q3 of 2011 alone, total mobile sales have increased by 5.4 percent since this time last year. Nokia currently leads the worldwide market by far, manufacturing nearly a quarter of all mobile devices. However, Samsung became the top smartphone manufacturer with over 24 million handsets sliding into users' hands during the same period. That would seem to make Android-based Samsung phones a common sighting in the wild. "Android benefited from more mass-market offerings, a weaker competitive environment and the lack of exciting new products on alternative operating systems such as Windows Phone 7 and RIM"
Android's success comes at the expense of others, however. Research in Motion's market share continued to bleed out as new Blackberry OS devices accounted for 11 percent of sales, down nearly a third (4.4 percent) from last year. Microsoft's Windows Phone 7 and Apple's iPhone OS both lost footing to the tune of roughly one and one-half percent. Ironically, Apple's slide from 16.7 to 15 percent has been largely blamed on patient customers. Many potential iPhone 4S buyers were waiting for the latest iPhone to hit the streets, slowing iPhone sales during Q3.